Havards Blackmoor Blog: [Downloads] Lost MMRPG files! The final three MetaOrgs (as of December, 2010) that were released for the MMRPG were Followers Of The Gnome Pantheon, Scroll And Blade, and Ordo Elementarum, bringing the total number of available MetaOrgs within the MMRPG to nineteen. There was a final update to the Blackmoor Military and Skandaharian Cultural Society MetaOrgs in August 2008 which revised the MetaOrg membership certificates. The Fairwind Circus MetaOrg was also updated at that time to clarify progression between levels. Finally, as of January, 2009, the Silent Guard was updated to include a new entry-level membership tier named "snitch". The requirements for snitch are that the applicant cannot be evil, they must spend 1 TU to join, and they must have at least 1 rank in each of Gather Information, Sense Motive, and Knowledge (local). The benefit is a +1 on Listen checks to pick out pertinent information during an overheard conversation. Thanks to the authors, I have been allowed to share these files on my website. You can download the metaorgs here! 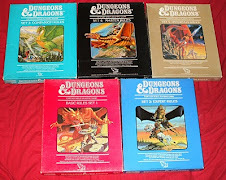 With these files, along with the Mystara BC2300 Campaign Setting and the History of Dragonkind, you have no reason to lack reading material this Christmas! Thanks for posting these, Havard! The MetaOrg team worked on these for quite a while, so I'm glad folks can finally get to see and use them.